Technical Analysis for .. ..Why? 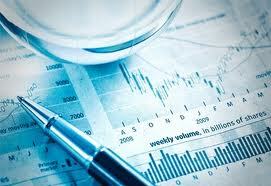 How to investment in the stock market benefited from the technical Analysis. Technical Analysis is the study of supply and demand in the stock market, by comparing the history of stock price movements and volume (the number of shares traded). Understanding the way the price moves in relation to the Open, High, Low and Closing Prices on a given minute, hour, day, week or month and comparing that to the volume can give an insight into future market direction. The data required is usually displayed in a Stock Chart so it is easily consumed. 5.Share or Market Index using Bars, Candlesticks or Point and Figure Charting. 7. Price Indicators – the study of price based chart indicators or Oscillators know as Stochastics,”Relative Strength Index” (RSI), “Rate of Change” (ROC), “Moving Averages” (MA), “Moving Average Convergence Divergence” (MACD), Parabolic SAR, ADX Average Direction Movement Index. 8.Study of Volume – understanding how the level of volume has a relationship with price – and how price has a relationship with volume. “Time Segmented Volume” (TSV), MoneyStream.